The confirmation page is the last page, or "step" of your survey. 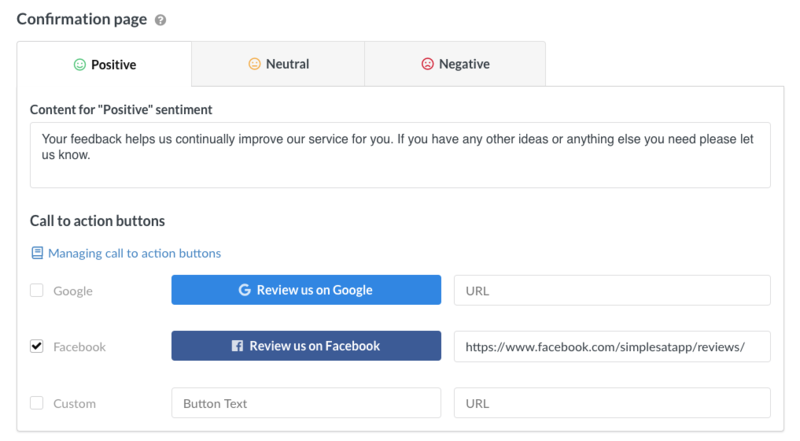 You can use this as a chance to thank your customer for their feedback, and display optional call to action buttons to suggest they leave a review, or get in touch with you directly. Find the Configure section of a survey you're creating or editing. You can use the defaults provided, or add your own customizations.